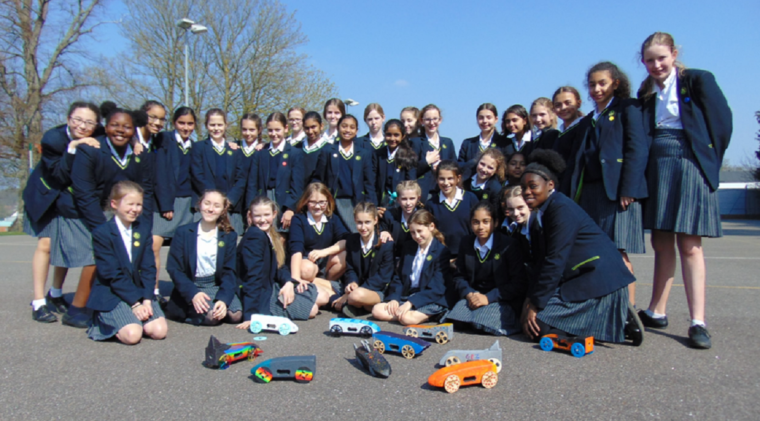 Over the past few weeks the Year 7 girls have been working on an engineering challenge to design, build and race a rocket powered car. To build the fastest car the girls have been considering the effects of aerodynamics, mass, and force on their designs during Physics lessons. 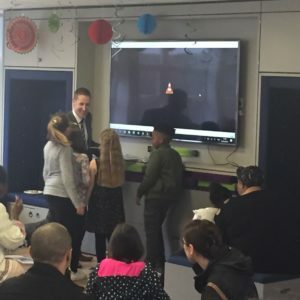 During Enterprise Technology lessons the girls have been using Computer Aided Design (CAD) software to design their wheels, have created a project team website and have been learning how to program the BBC micro:bit computer and its sensors. Each car carries an on-board micro:bit to provide data about the car’s performance. 3D Design workshops have been busy with the girls shaping and painting the car bodies, laser cutting the wheels and constructing the cars. The girls have worked extremely hard on this team challenge and all of them will receive the nationally recognised CREST Discovery Science Award for their efforts. On race day each car was rolled to the start line, its rocket ignited and timed over a twenty metre course. Congratulations to all of the teams for taking part with such enthusiasm and for creating amazing rocket cars. The fastest car on the day was built by Leona, Aiyana, Rebecca and Milly of Team Lioness. Well done girls! Team Lioness will represent the school in the regional finals in May.